The goat anti-human Ig antibodies are prepared by hyperimmunizing animals in a manner that produces high affinity antibodies. These are then purified by an affinity chromatography procedure designed to remove any low affinity antibodies which may be present. Cross-reactivities that are likely to interfere with specific labeling are removed by solid-phase adsorption techniques. The final product is then subjected to rigorous quality control assays including immunodiffusion, solid-phase enzyme immunoassays, gel electrophoresis and solid-phase binding assays. In preparing the labeled antibodies, great care is taken to ensure the maximum degree of labeling with no alteration in the specificity and affinity of the antibody. The labeled antibody then undergoes a further series of quality control assays, including immunohistochemical analysis. Unless otherwise specified, our antibodies will recognize both heavy and light chains (H+L). AMCA (7-amino-4-methylcoumarin-3-acetic acid) labeled Goat Anti-Human Lambda Chain Antibody excites in the near ultraviolet (350 nm) and emits a visible bright blue fluorescence at about 450 nm. This antibody has been optimally labeled with AMCA to provide the brightest label for fluorescence microscopy. This chain-specific antibody is produced specifically to distinguish between chains or classes of target immunoglobulins. This antibody is affinity-purified and treated by negative solid-phase adsorption to remove cross-reacting antibodies. This chain specific antibody has virtually no cross-reactivity with other immunoglobulin classes or other heavy or light chains. 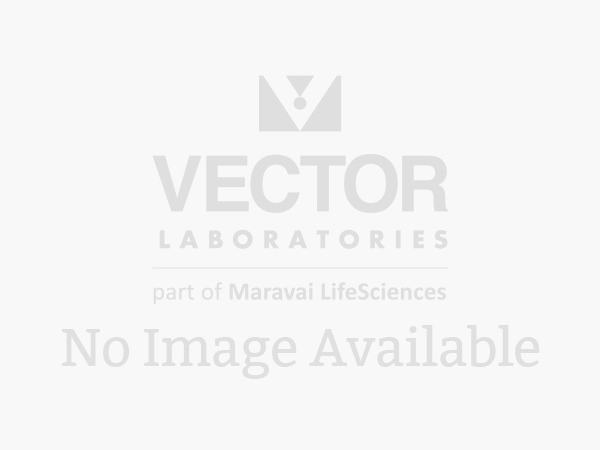 This fluorochrome conjugate can be employed in flow cytometry or used for tissue staining.